Tourism in Boulder is booming, and there’s no greater proof than in the hotel industry. 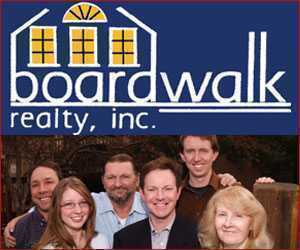 Five new hotels recently opened up in the Boulder area. For a city that previously had only about 20 different places to stay, including B&Bs and cottages, that’s a major boost all at once. For visitors, this means more lodging options: more locations, different styles of rooms, a wider range of price points and (theoretically) a more competitive service, as the various branches try to win over the customers. 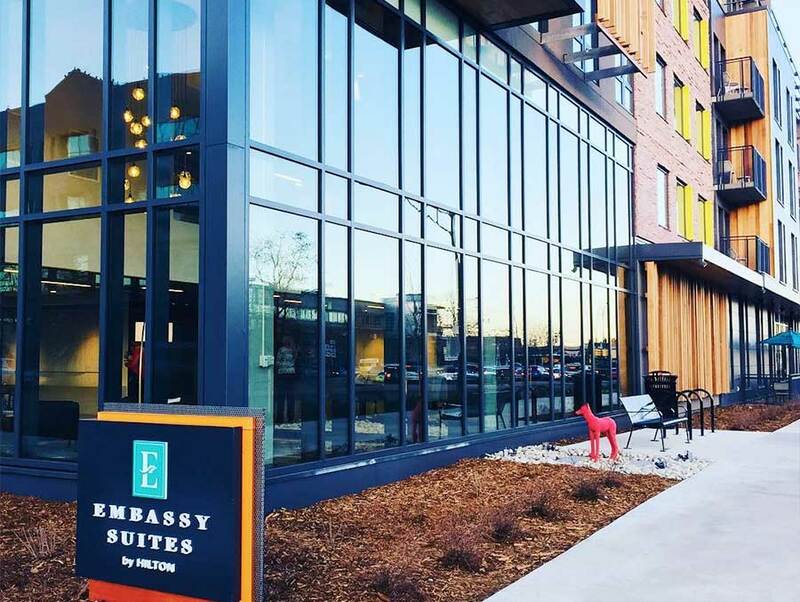 Here’s a look at Boulder’s five new hotels: the Embassy Suites by Hilton, the Hilton Garden Inn, the Residence Inn Boulder Canyon Boulevard, the Residence Inn Boulder Broomfield/Interlocken and the Fairfield Inn & Suites Boulder Broomfield/Interlocken. This hotel is part of the new Hiltons on Canyon collection (with its partner hotel, the Hilton Garden Inn). What you get there: two different price points and lodging styles in the same area. This collection opened late 2017. The Embassy Suites by Hilton is an all-suites hotel (per the name, obviously). In the two-room suites (with a living area and a separate bedroom), you’ll find upscale furnishings, an HDTV, fridge, microwave, coffee maker and more. Upgrade to a studio suite for more space, or request a suite with a balcony view of the Flatirons. 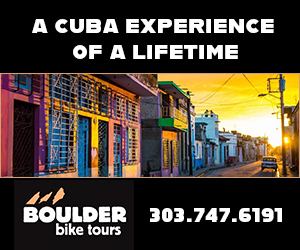 The hotel has an outdoor plaza, a two-story fitness center, Boulder’s biggest ballroom (6,510 square feet) and an on-site bar and restaurant. The Brickstones Kitchen and Bar serves burgers, flatbreads and other indulgent options. The highlight here: Boulder’s first and only rooftop pool. It’s a saline-based pool, so no stinky chlorine. 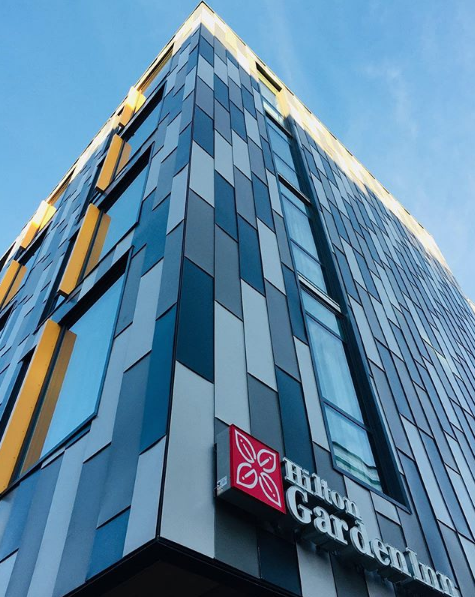 Guests also get a complimentary made-to-order breakfast, an evening reception (hello, free wine) and access to some of the amenities at the Hilton Garden Inn nearby. The Embassy Suites has 204 rooms. Local tip: Ask about the Hiltons on Canyon Ski Eldora Package, which includes overnight accommodations in either hotel, two adult lift tickets to Eldora Mountain, transportation to and from the resort and free hotel parking. The price: $399 per night, available through March 31. The Hilton Garden Inn is the slightly more casual (but still upscale) sister of the Embassy Suites by Hilton. You can stay in a regular room here or a one-bedroom suite with a separate living room. 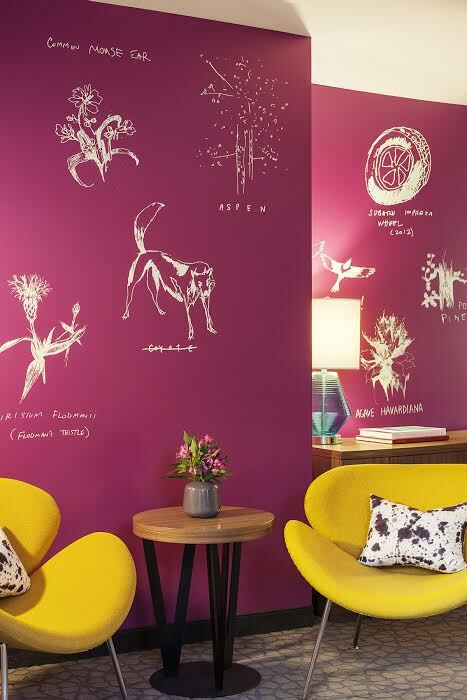 Rooms feature local artwork on the walls. Every room has a mini fridge, HDTV with cable, Keurig coffee maker and microwave, with access to the fitness center, pool and 24-hour business center. In fact, this hotel is ideal for business travelers. Rooms even have ergonomic chairs, and there are great meeting rooms to reserve. Not to mention the decor, which is quirky and cute. The hotel also offers a market ,open 24 hours, and a restaurant and bar on site, serving locally inspired food. The restaurant, the Garden Grille, serves a full menu of both healthy food, as well as some naughtier chicken and waffles, or get lighter, to-go food at the Pavilion Pantry. Then grab a drink at the Pavilion Lounge. 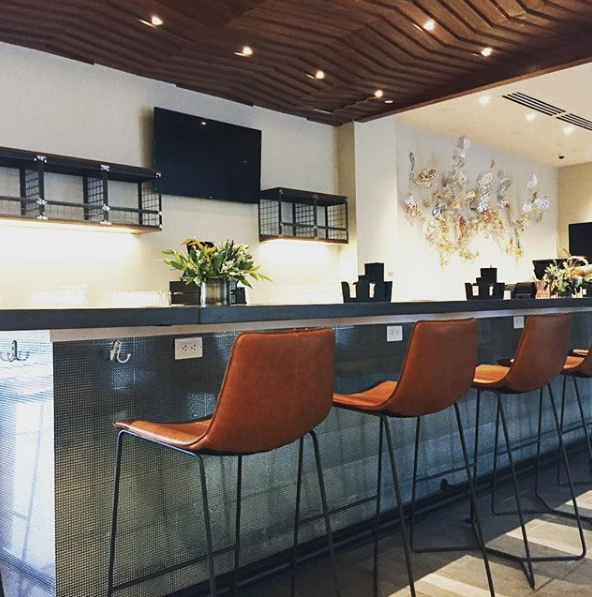 Guests all get a cooked-to-order breakfast included with their stay, and they also have access to the Embassy Suites by Hilton, including its rooftop pool. The Hilton Garden Inn Boulder has 172 rooms. The Residence Inn on Canyon, which opened in September ’17, is ideal for extended stays. All rooms have fully equipped kitchens and plenty of space for working. There are two meeting rooms on site, too. 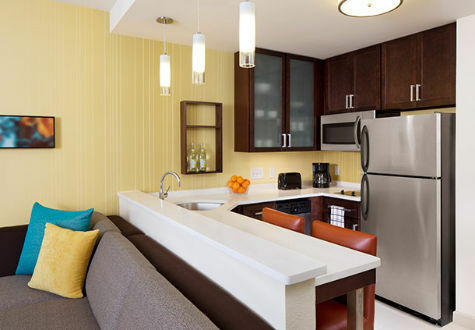 The Residence Inn offers studios and one-bedroom suites, all with separate living room areas. Bonus: The hotel offers free grocery delivery service, so you can fill up your fridge without having to fight the miserable parking lot at Whole Foods. Free hot breakfast is included in your stay, and so are social cocktail hours at the end of the day. The hotel also has a fitness center, indoor pool, whirlpool and a barbecue and picnic area outside. There’s not a full restaurant on site for dinner, but there are many restaurants nearby, or of course, you can cook your own dinner in your room. And there is free coffee in the lobby, as well as coffee makers in your room. This spot also advertises itself as pet-friendly; it wouldn’t truly be Boulder without furry friends. Because this hotel is great for a long stay, it also offers a place to do your laundry. The Residence Inn Boulder Canyon Boulevard has 155 suites. This hotel is also known as the Residence Inn by Marriott Broomfield. It opened in December ’17. As a Residence Inn, this hotel is also set up for an extended stay. A highlight here is definitely the wine bar. If you’re traveling for business, you’ll also appreciate the ergonomic chairs in each room and four meeting rooms. The studios and one-bedroom suites here are designed to feel like a home, with a full kitchen, a separate living room area, an HDTV and more. The hotel claims its suites are 50 percent bigger than the average hotel room, starting at 640 square feet. The hotel itself also has a library on the second floor, a fitness center, a movie room, an outdoor pool and free shuttle service. Guests get a free hot breakfast every morning. So it’s like being at home, except a home where you don’t have to cook your own breakfast. And the hotel offers a grocery-shopping service, where it will bring groceries directly to your room, so you can skip that chore, too. The hotel has 122 suites. Pets are welcome to stay with you. This hotel is the sister of the new Residence Inn in Broomfield, so it also opened in December. They’re actually located in the same building, but some of the offerings here are different. 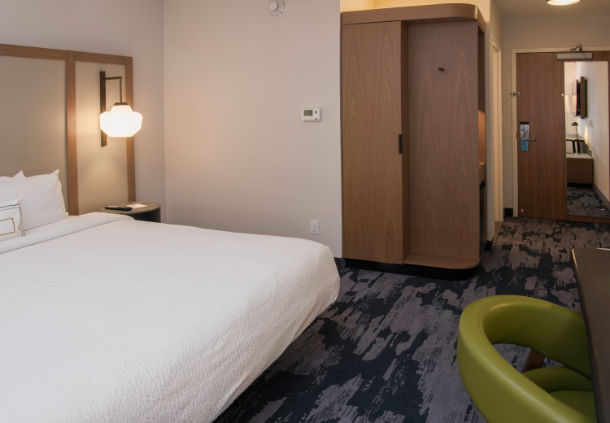 The Fairfield Inn isn’t as geared toward long-term stays, although it still has access to many of the same amenities, including the four meeting rooms. Really, the big difference here in in the rooms. This hotel is inspired by Colorado’s lodges, so it has a mountain feeling. You can stay in a regular room or a suite, but neither has a full kitchen. The king suite is not huge, at around 350 square feet, although it offers a separate living room space. All rooms feature a microwave, mini-fridge, HDTV, ergonomic chair, comfy feather pillows and more. Guests get a free hot breakfast buffet and free shuttle service within five miles, as well as access to a 24-hour fitness center and business center. Also on site: a bar, outdoor pool, library, movie room (yes, the same amenities as the Residence Inn). Pets are invited to stay, too. The Fairfield Inn has 79 rooms and 11 suites. Great edition! Very informative and exciting!